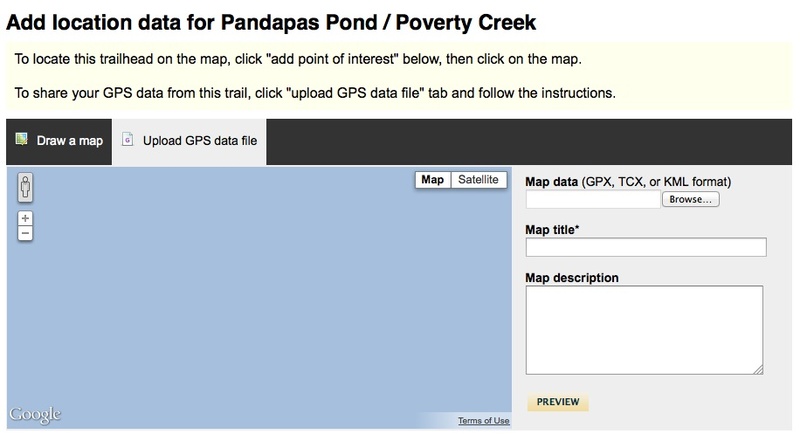 In this tutorial, it is assumed that you already have your GPS data downloaded to your computer in a .GPX format. Depending on what GPS unit, smartphone app, Etc. that you're using, the steps to do so will vary. First, find the trail listing for the trail that you rode (in this example, that's Pandapas Pond). If you can't find the trail, you'll need to add it first using this form . Second, scroll down a little ways and click the "Submit GPS Data" button on the right hand side of the page.